Breaking News: FDNY Fire Extinguisher Tag Compliance Updated. Learn More, Click Here. "Soft on the eyes, tough on safety." 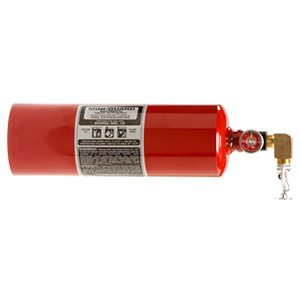 We carry the latest equipment in fire protection, detection and suppression. We can bring your business, residence, or warehouse up to compliancy with the latest local fire codes. Fast turn-around on fire violation removals. We work quickly and efficiently to meet all requirements. Commercial grade equipment, protecting your fire safety investment and increasing aesthetic. Chase Fire® proudly serves New York City, New Jersey, Suffolk County, Nassau County, and the Five Boroughs, Manhattan, Queens, Bronx, Brooklyn and Staten Island. We pride ourselves on professionalism and our customer loyalty. We’ve been in business since 2006 and have over 50 years combined experience in the industry being preferred Fire Protection Company New York. Our business is fully certified, licensed and insured in New York, New Jersey and Long Island. On average, customers save over 20% when choosing Chase fire Products over competitors when it comes to buy fire extinguisher nyc. We are a fully transparent company that follows ethical business practices. That’s why we’re the #1 choice for many Fortune 500 companies, property managers, government agencies and small businesses in the New York area. Chase Fire will never show up unexpectedly, never use high-pressure sales tactics and never force you into purchases that are unnecessary for your fire safety compliance needs. Our goal is simple: to provide fast, professional service at competitive prices. Whether you are starting a new business or just need updated inspection tags, we want to be the fire service company you call first. No job is too large or too small for Chase Fire Products, Inc.
Our highly skilled service team will assess your needs and discuss your options with you while working with you to get you the best price for the job. We started our company in 2006 after over 20 years on the job. Today we’re proud to offer the highest quality fire safety products at the best prices in the industry. Not only do we stay up-to-date with the latest fire safety methods and techniques, we ensure that all locations we visit are using the latest in technology to do the same. Give us a chance to earn your business and let us meet or beat the competition in pricing. We realize that there is no substitute for repeat and referral business. That is why customer satisfaction is still our number-one business asset. Beware of Impersonators! Chase Fire Products is independently owned and operated. That means there is only one Chase Fire Products. For over 10 years, we have worked to build and deliver upon a legacy of dedicated, knowledgeable and professional service to our customers. When you become our client, we will only contact you on your terms and let you know in advance if we need to reach out to you. Don’t be fooled by impersonators pretending to be Fire Inspectors offering our services or in charge of sending us out. Chase Fire Extinguishers and Fire Products gave an excellent demonstration on fire extinguishers and fire safety At the Antique Motoring Club of Monmouth County's club meeting held on October 19, 2016. We had 53 members glued to every word Artie spoke. Fire safety is a serious issue to our members Fire Protection for their Antique cars is high on their priority list. We are putting together a purchase order to buy fire protection products from Artie and Chase Fire protection. The Chrome Extinguishers were a big hit with the club. The chrome Extinguishers will be the final touch in dressing up some of these beautiful Antique and classic cars. Excellent job, Artie & Chase Fire !!! I am opening a daycare in Brooklyn and I needed fire extinguishers installed that would not only meet state regulation but also be kept away from tiny hands. Artie, the Chase Technician, was not only extremely knowledgeable on the regulations but worked quickly to get my extinguishers and their emergency cabinets installed. I will be using their services again in the future and I highly recommend them to anyone else looking for reliable fire safety equipment installed in New York. Chase Fire has served my restaurant for a decade. I trust them explicitly for all my fire extinguishers because they've always helped me keep my business safe without ever pressuring me to buy more than I need. Every year they show up at around the same time and they inspect and test all the extinguishers in my 4-story restaurant. I've never had any issues when we have to use the extinguishers and that's the way it should be. Last year we were serviced by a company that tricked us into using their service by using a shady telemarketer who pretended to be a fire inspector. We're glad to have found Chase Fire, they're honest people who show up for their appointments on time and never charge us a penny over what they quote. Our business was shut down due to fire code violations implemented at the end of 2014 and we were in a serious panic. The Chase Fire team came right after we called and helped get the violation removed so we could reopen. Their prices were competitive and the service was A+. The whole exchange went smoothly which I attribute to their knowledgeable friendly staff with quick turnaround that has earned Chase Fire my companies business for life.